"I am truly struck by the thought of this [CV] being a story. I feel particularly blessed to have had you shepherd me through this week so far... [and] for all your support, encouragement and belief [in me]." TEALarbor stories' mission is to compassionately support people as they discover and convey through writing their deepest stories. 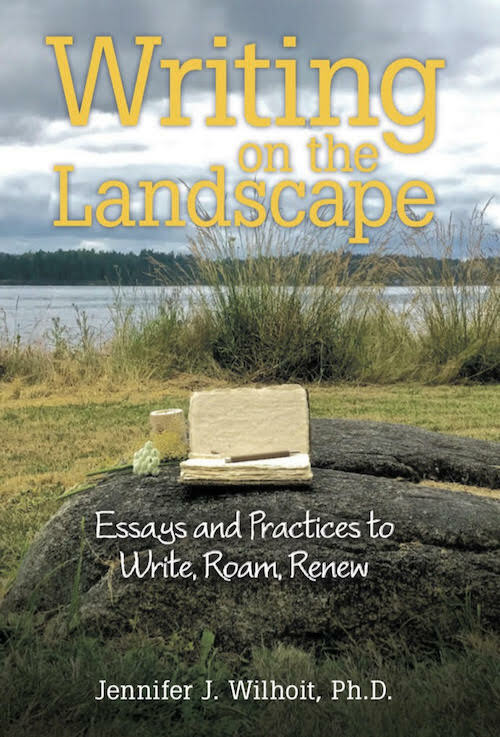 The nature-based, creative processes help individuals to write for insight, write for outcome, and write as rite. "Looking for an amazing writing coach? Look no further than Jennifer Wilhoit, coach, writer, and counselor-extraordinaire. I was blessed to find Jennifer during the most stressful time of writing my book - facing deadlines, lost in a sea of notes, lacking discipline, and drowning in self-criticism. With Jennifer's ongoing support I righted the writing ship: got focused, stepped up my self-care, developed good writing habits ... and my creativity soared. I'm proud to be publishing my second book with Penguin Random House - and grateful for the deep, restorative, and heartfelt support that Jennifer brought to me just when I needed it most. As a psychologist and coach myself, I am a big believer in getting help. We all need champions to bolster us as we follow our passions. But you need to find the right coach - and with Jennifer, I got the best." is now available! Click here to learn more. TEALarbor stories serves the world from the beautiful Puget Sound landscape of Washington.